So after a years worth of listening and re-listening we’re here at the end – the final five albums, the albums that of everything we’ve heard this year, more than any others made up the soundtrack of our lives in 2014. We could make a case for every album here being number one on the list, and at one point or another they probably were all at the top of the pile. Ask us again next week and they might end up in a different order – but here and now we’re absolutely delighted with our decision because the winning album is just a stunning thing. We can’t lie, we remain sceptical about these album-retrospective tours that are popping up everywhere these days, however if all the bands are going to be as inspired by them as The Twilight Sad sound then maybe they might be a good idea after all. In revisiting their debut album, Fourteen Autumns & Fifteen Winters, the band seem to have rediscovered the energy and passion of that recording, and channelled it into making this their fourth and to our ears best album. We weren’t the only ones who noticed, it was their highest charting album, narrowly missing out on the top 50, their upcoming tour will see them play their biggest venues to date and we wouldn’t bet against those venues being packed to the rafters. Commercial success is one thing, but it’s also been a critical revelation, and it’s easy to see why. They fused the electronic & industrial elements showcased on their third album, No One Can Ever Know and the walls of reverb heavy guitar that made their debut such a heady delight! Singer James Graham’s delved once again into his dark side with his lyrics, but seemed to touch onto personal problems more than or previous albums, his vocal too has never sounded so strong, and so impassioned. Musically it showed a perfect mixture of stick and twist, there were songs like Last January, I Could Give You What You Don’t Want and the stunning opening track There’s A Girl In The Corner, that sounded like more refined versions of their previous work, but there were some sonic departures too. Leave The House started off a mix of a nursery rhyme and gorgeous droning synths reminiscent of Beach House, before exploding into a gothic infused blend of organ swells and guitar based fury, whilst closing track Sometimes I Wished I Could Fall Asleep was as close as they’ve ever got to a piano ballad, and a spine-tinglingly beautiful one at that. 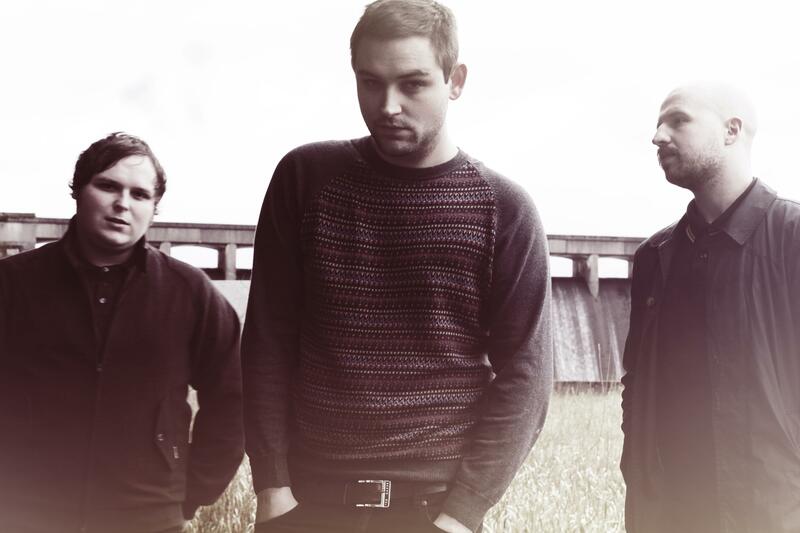 Here The Twilight Sad had never sounded so comfortable in their own skin and with that made a record that was an absolute triumph. 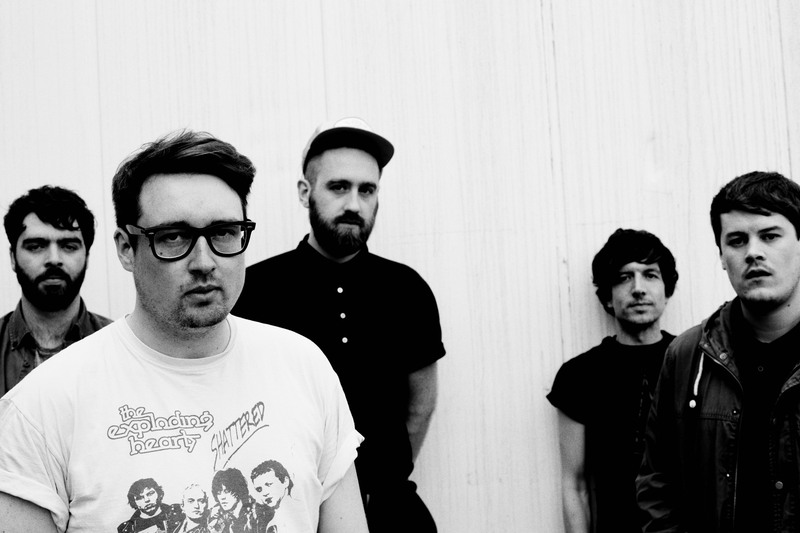 Hookworms return to our album of the year list for the second time in a row, a fitting honour for one of the most exciting bands to come out of the United Kingdom in many years. Whilst we obviously liked their debut album Pearl Mystic, having heard The Hum, it sounds almost tame, even dare we say it unadventurous. In that albums defence next to The Hum nearly every album sounds tame and unadventurous. It’s just a simply thrilling thing to listen to! There has arguably never been a greater statement of intent than the albums opening track The Impasse. It’s two and a half minutes of angry, shrieked vocals, joyously wailing keyboards and a blur of crashing drums. Just thinking about it brings goose-bumps to our arms, it is the best, most brutal punk song of the year. The quality doesn’t dip from there, the single On Leaving was essentially two-chords and a pile of melodies, Radio Tokyo was stunning, and in closing track Retreat they showed they could write a pop-song, even if for the most part they didn’t want to. Even better was the fabulous Off Screen the middle ground of Joy Division‘s Atmosphere and The Liars superb single The Other Side Of Mt.Heart Attack, a hazy, swaying track that sounds equal parts sad and beautiful, it was absolutely wonderful! It’s an album with a beautiful contrast at its core, on the one hand it sounds so professionally crafted, it flows so beautifully and hangs together as an album as a whole, but on the other it sounds like a gang of friends, having the time of their lives. Proof were it needed that seriously good music, can be created without abandoning any of your sense of musical exploration and fun, it’s a delight! Following the release of 2012’s Tramp, Sharon Van Etten‘s fragile confidence was threatening to derail her unquestionable talent! For every rave review that Tramp received seemingly her doubt increased, she questioned, is it me they want to hear or my collaborators? Sure she worked with some impressive people, and reviewers were bound to run with that, but what truly made Tramp stand out from the crowd was Sharon herself. That doubt led her to cast off the stellar cast of co-collaborators, there were other people on the record sure but this time there was nobody to share the limelight and nobody to hide behind. Any shred of doubt that the true star of the show was Sharon herself, were not just erased but eradicated. Are We There was not just as good as Tramp it was better! It brought all the emotion and pain that were present there and presented them not as a heartbroken whimper, but a full blown emotional outpouring. Nobody has written a more excruciatingly painful and beautiful song than Your Love Is Killing Me this year. The playing on the album was crisper, more complex, the song writing more evolved and mature, the singing was just mind-blowing, there’s not a vocalist on the planet that can simultaneously carry such emotion and power into every crescendo and every lilting ballad. The lyrical themes of heartbreak, emotionlessness and abuse both physical and mental might not have made it the most pleasant listen, but it felt all the more important because of it, it was real life and real pain put straight to tape. The most complete album of her career so far, stunningly produced, beautifully sung and played and an utterly compelling listen. Precisely the sort of raw, difficult and emotional piece of work that is utterly vital, and best of all this time around not even Sharon could doubt it. Considering it was a debut album we had shockingly high expectations for Fear In Bliss. Following the superb EP, Grow Deep Grow Wild, and a jaw dropping support slot with Midlake at Shepherds Bush Empire, we anticipated something good, maybe even something great, that it not only lived up to, but exceeded even our wildest expectation was frankly remarkable. 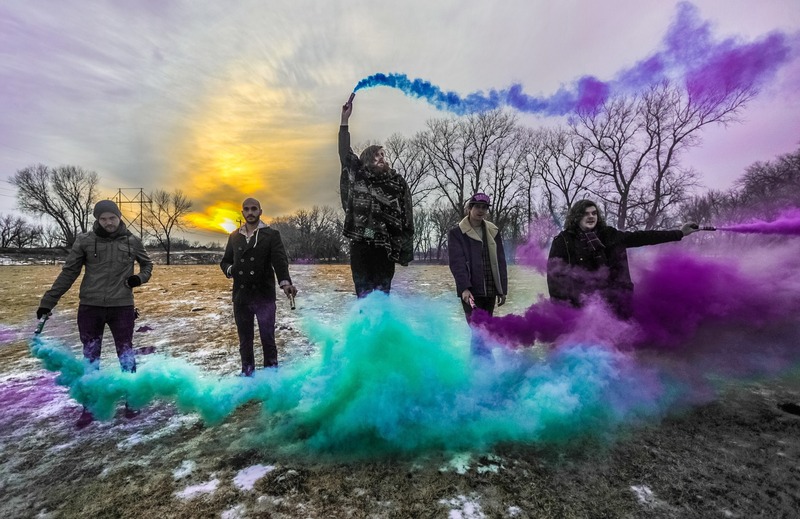 The Oklahoma based five-piece created an album deeply routed in the traditions of American alternative music, both old and new, it simultaneously recalled the true greats, artists like Bob Dylan and Bruce Springsteen and the more modern classic, with shades of Fleet Foxes, Beach House and Grizzly Bear. The album managed to balance experimentation, the almost acapella Already Dead, the buzzing synths and low-key vocal of closing track Warm Regards, with songs that fitted perfectly with their previous output, the likes of Human Geographer and stand-out track Dead Drum wouldn’t sound out of place on their previous recordings, but they sounded more refined, better recorded and just stronger examples of song-writing. If musically it was a varied collection, it was all pinned together by both the voice and lyrics of front-man Cameron Neal. His voice is not a classically trained beauty, but it’s powerful, and carries an emotional weight like almost no other. Lyrically he delves into issues many songwriters wont touch, there were flirtations with religion, mortality and growing up with unshared doubts about the reality of all you are told. On closing track Warm Regards, Cameron sings “this music make me sad, but I cannot help myself” well this music makes us delighted, moved and amazed but yes we cannot help ourselves. 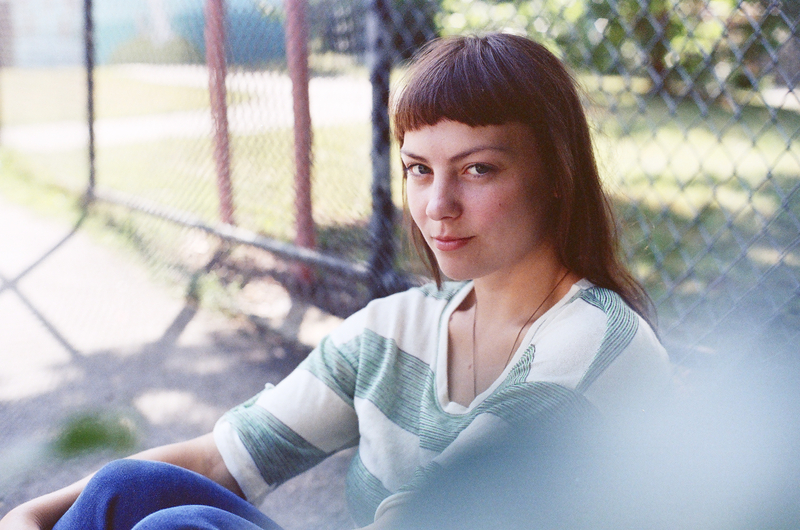 Angel Olsen‘s debut album Half Way Home was a pleasant collection of minimalistic folk recordings, largely her vocals were left to carry the charm with just a smattering of instruments as a backing. Having made her name as a backing vocalist in Bonnie “Prince” Billy‘s band it was pretty much exactly what you’d expect from her, it was beautiful sure, but it didn’t hint at the stunning talent that would gradually unfurl itself, and lead to an album as stunning as Burn Your Fire For No Witness. Every aspect of Angel’s sound has been refined, evolved and improved. Those who typecast her as a folk-singer, would be shocked by the thrashy-grunge sound of Forgiven/Forgotten or High & Wild, she emerged with all the intimacy of those early recordings in tact but with a new found confidence, where once she seemed almost timid, now she seemed like a star in the making. The album was a stunningly produced, claustrophobic listen, it was like you were a fly on the wall of a long doomed relationship. The opening track, brilliantly entitled Unfucktheworld, set the tone, her opening lyrical salvo “I quit my dreaming the moment that I found you, I started dancing just to be around you” carried both a sense of romance and sacrifice. If it started off as a balancing act by the time we were at tracks like Stars she was singing “for life or myself and leaving you.” It was in the strange period of doomed relations that much of the record played out, the emotional connection gone, the happy times a distant memory, all that was left is bitterness, anger and tragically pity. On Dance Slow Decade she pleads with her partner that “I can see you dancing, if you’d just take the step, you might still have it in you, give yourself the benefit” whilst on the brilliant Hi-Five, she asks “are you lonely too? Well Hi-Five, so am I.” Dive into the lyrical deep and it’s a harrowing, and emotional listen, though it never sounds heavy or depressing, it just bristles with raw power. Perhaps the albums most moving moment is its last. Windows is just aural heartbreak. All sense of joy and anger long since stamped out, all that is left is an aching sadness. It’s a plea for someone who’s lost in the darkness of depression, to let the light in, initially over a lone guitar she begs “won’t you open a window sometime, what’s so wrong with the light?” There’s an attempt to reason with the person, but ultimately she knows it’s too late, they can now only help themselves, “Why can’t you see? Are you blind? Are you dead? Are you all right?” Such is the quality and emotional impact of her vocal, you barely notice the music that slowly creeps in around her, organs subtly drone in behind, drums start slowly and build and build and build to a crushing crescendo, a perfect outpouring of sound, as she simply repeats “what’s so wrong with the light” it’s the sound of pure frustrated, helplessness, it’s overpoweringly beautiful, sad and frankly wonderful. Burn Your Fire For No Witness is a true masterpiece, it’s everything you could want from an album, coherent, creative, emotive, and both musically and lyrically challenging. It’s the best record of the year, and so much better than we could ever have imagined it would be, it’s fantastic! With the drawing to a close of this album of the year list we’d like to also take a moment to thank everyone who’s been involved in our first full year as a blog. This blog started off with the soul aim of us putting our thoughts onto paper and escaping the trap that many fall into of thinking music isn’t what it used to be. Writing these pieces has re-invigorated a love for music that could easily have slipped by. New music, old music, any music is part of what makes life worth living, we’d encourage each and every one of you to rekindle the joy of being seventeen again, to embrace music and find your new favourite band. By forcing ourselves to listen we rediscover why we were listening in the first place. None of this would have been possible without the bands, record labels, PR people, festival organisers, fellow bloggers and most importantly our readers. Without anyone to read our ramblings we’d just be shouting into the void…you’ve made this first years writing an absolute pleasure and we hope you’ve enjoyed it even a fraction as much as we have. This is a great list and your reviews are so well written! Really well done. Thanks so much Martin! Lovely to have someone so supportive reading. Are you doing your own list this year? A strong list! 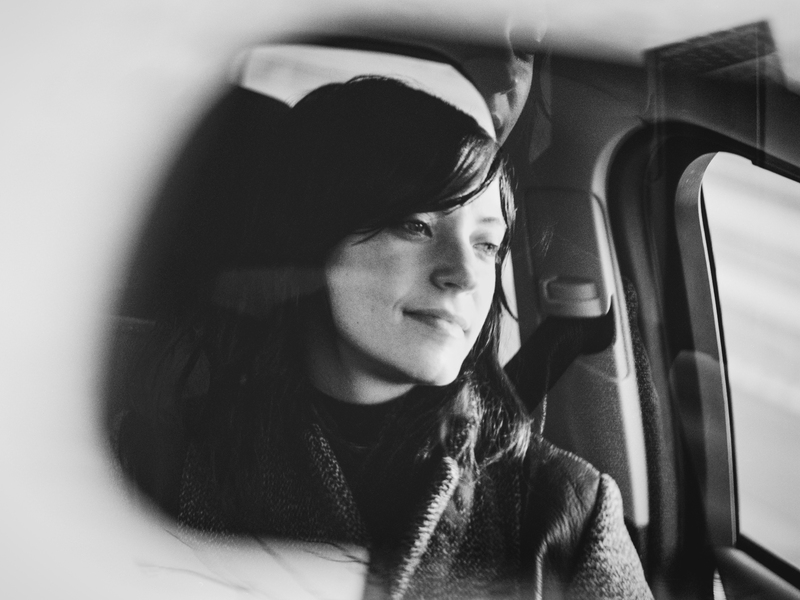 Certainly agree with the latest Sharon Van Etten LP, but I’m not quite sure that it’s better than Tramp. Tramp to me is a slightly more cohesive work. They’re both lovely though, and I can’t bring myself to criticise Are We There whatsoever. It’s always great to hear an artist break away from any restraints, self-imposed or otherwise. Thank you – I do love Tramp, it was the first I ever heard from her so it has an emotional connection – but overall I think Are We There is the slightly stronger of two incredibly strong albums! I basically think she’s just amazing! Agreed on that one – she is an amazing artist!